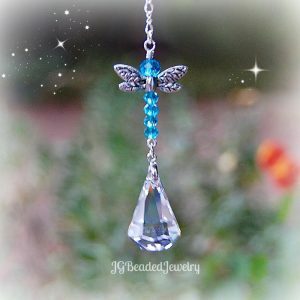 Please visit my Etsy shop JGBeadedJewelry.Etsy.com to find crystal suncatchers, car charms, natural crystals, stones, jewelry and more. Everything in the shop is available and ready to ship! While rebuilding our lives in the aftermath of the #Camp Fire in Paradise, CA., I'll be working through Etsy only - please keep in mind that Etsy is a worldwide marketplace with many sellers, and you may enter into another shop somewhere else in the world. Your support is appreciated and you will receive the best service as always! If you have any questions, please message me through Etsy.